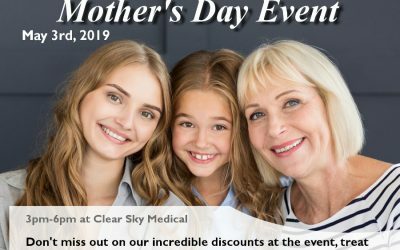 Clear sky medical specializes in anti-aging medicine. This includes Bio-identical hormone treatments, menopausal treatments, cancer treatments, & more. A healthy and youthful appearance at any age can improve self-esteem and create a positive outlook on life. We believe in working on your internal and external health. We are a family practice with a unique, holistic approach to health. We provide comprehensive care for every member of the family. Restoring Youth and Function: We partner with cutting edge clinical labs to conduct comprehensive diagnostic reports of our patients’ health conditions and disease states. Through precise identification of deficiencies and bio-markers, our providers are able to customize a treatment plan for you aimed at restoring your well-being with results that can be life-altering. These treatable conditions include, amongst others, heart disease, cancer prevention and post-cancer rehabilitation, diabetes and metabolic syndrome, MTHFR, chronic fatigue and nervous system disorders, urinary and reproductive problems, hormone imbalance, and nutritional deficiencies. We offer a portfolio of services to help you feel and look your best. Specialty areas include Bio-identical Hormone Restoration, Anti-aging and Family Medicine and Medical Aesthetics. Click here to see a full list of our services. “I would like to commend Dr. Katia Meier and the staff at Clear Sky Medical. I came to Dr. Meier with a potentially life threatening condition. With her advice and nutritional support, much of the original problem has been either controlled or eliminated, as veified by follow-up blood tests…” – L.B.